Having a team size of 160 members, Appnomic Systems, an IT Operations Analytics (ITOA) company leverages machine-learning enabled analytics technology to provide Software and Software as a Service (SaaS) solutions for truly proactive, application-centric, and autonomic management of IT infrastructure. Headquartered in Bangalore, India, the technologies and solutions developed by the company have been commercially proven with enterprise customers in India, the Middle East, and Africa. The company’s U.S. headquarters are based in Palo Alto, California. At Appnomic Systems, the founding team comprises of Padmanabhan D, Alton Viegas and Subramanian Parmeswaran. As Managing Director & CEO of Appnomic, Paddy is passionate about delivering an autonomous solution for IT Operations Analytics and IT Process Automation. He is closely involved in the strategic initiatives and technology development of the company. Paddy has been involved with the IT industry for over 30 years with leading organization like Infosys. At Infosys, Paddy led the architecture team of Finacle – Core Banking solution. Alton founded and promoted Appnomic Systems to focus on providing practical and relevant IT Infrastructure Management solutions and services. He has more than 30 years of experience in the IT industry. 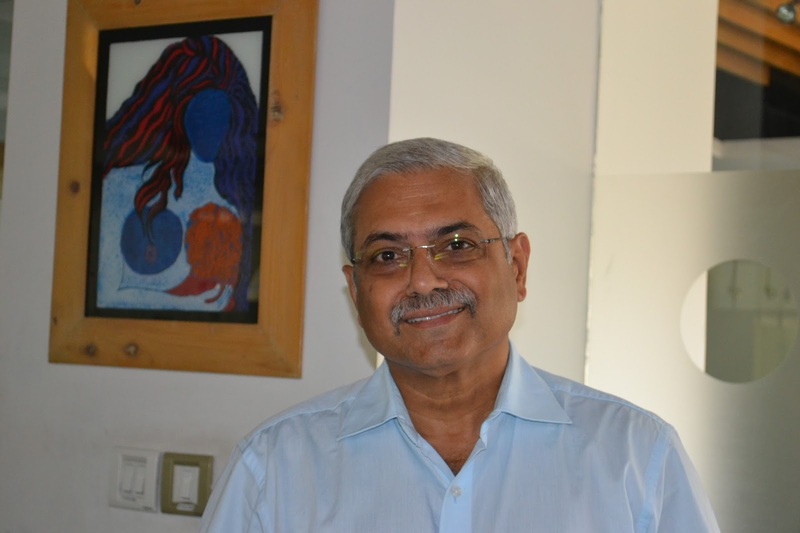 Prior to Appnomic Systems, Alton was responsible for Mainframe sales for PSI-Bull in South India and for a brief period, he managed software sales in the US, Africa & Middle East for a leading software company. Alton is operationally responsible for Compliance, Risk Management, Finance, Facilities and Administrative functions. 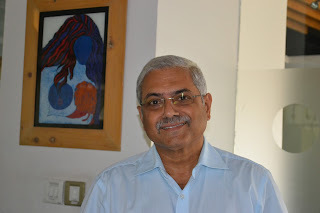 Subbu, with more than 25 years of sales & management experience in the IT industry, brings a focused set of skills in forming strategies, executing and achieving revenue and long term organisational goals, running successful operations in both multinational companies and start-up environments. Based in Bangalore, the IT hub of India, creating a start-up is the most natural thought to any techie. Very importantly, during his tenure with the earlier organizations he worked with, Paddy was always pulled into solving problems. He also realized that Application Performance Management tools typically showed a piece of code as being slow when Applications become slow, while the same code worked fine a second ago! To him, this was only a symptom to something actual cause deep under that needed to be brought to surface as the root cause. He believed that there should be a way to proactively solve such problems and hence the AppsOne product. It has been a challenge for the founding team to run an IT management services company and simultaneously doing R&D and developing an enterprise class product using the best technologies. The dynamic team of IT enthusiasts at Appnomic Systems find themselves quite lucky as they successfully managed to acquire marque customers for AppsOne, whom they call very supportive and patient while giving them the opportunity to make a major move. They managed to deliver positive results to their customers who saw value in the product and the associated services that were provided. Initially, growth has been limited for the company as the APM market in markets they operated in saw very little growth during the period 2010-15. However, the arrival of competition in 2014-15 helped growth of the market and customer demand. Further, Norwest Venture Partners (NVP) supported them all along for all their capital needs. Product development continues as the demand for new features is increasing at a faster pace than ever before. Apppnomic Systems claims to be one of the early adapters of cognitive technology and analytics. The team says that AppsOne would be the Primary tool used by enterprises to monitor and manage their product environment using analytics, machine learning & cognitive remedial action. At the onset, the team believed that they would emerge as a major player in IT Operations Services. Within short span, they realised that they were more of a product orientation than a services company. The experience, the customer engagements and the core strengths of the founding team motivated and helped the entire team pivot into a product company. Looking back, the team said that they wouldn’t want to change anything as they repent nothing. It has been a constant learning which has helped them evolve into something better than what they set out with. The team believes that Appnomic has been amazingly lucky and blessed in the fundraising. They had a large seed fund from the founders, subsequently rounds of investment from our investors, Norwest Venture Partners, one other than Promod Haque on the board, fund raising has been a breeze. The journey has had challenges with some of the initial team members leaving at various stages but with newer energy flowing in, it has been interesting and progressive. The market response was never a challenge for them, owning to the whole hearted industry acceptance of the founding team.